While completely preventable, drunk driving accidents continue to take the lives of thousands of people each and every year. It’s a serious problem we’re facing here in the state of Massachusetts and it’s a problem that we’ve got to stop. Unfortunately, another accused drunk driver (this time from Leominster) took the life of an innocent woman in a local traffic collision. According to the Telegram, the intoxicated driver was speeding the wrong way down the Massachusetts Turnpike when the accident happened around 4:00 a.m. While many of the drivers were able to swerve and avoid him, others were not so lucky. Even the officers were having a tough time stopping this erratic driver. “I swerved across all westbound lanes in a zig-zag pattern to warn traffic behind me and to attract the attention of the wrong way driver,” said Trooper Joseph J. Hilton. Our Boston drunk driving accident lawyers understand this driver was behind the wheel not only intoxicated, but was also driving on an expired license. As a result, the driver has been charged with both motor vehicle homicide by negligent driving as well as driving under the influence, but that’s not going to reverse the damage that has been done. The 80 mph hour driver took out an unfortunate minivan and a Honda passenger car, injured two motorists and claiming the life of another driver. While most of us may be smarter than to get behind the wheel of a motor vehicle after consuming alcohol, there are others who are not as cautious or considerate — and that’s why it’s important for all drivers to be able to spot a drunk driver on our roadways. -Stopping for no reason. Are they stopped at a green light or stopped in the middle of an intersection with no stop sign? That’s clear indication that’s something wrong. -Slow response for traffic signals and devices. Taking more time than needed to react is common in impaired drivers. -Inconsistent signaling. An intoxicated driver may use their right hand turn signal and then turn left or vice versa. -Overly-active braking. Since alcohol causes a driver to lose focus, a drunk driver may brake more often to try to avoid an accident. Little do they know that it actually might cause an accident. -Swerving. 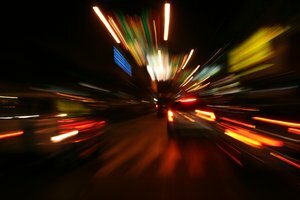 With their inability to focus, a drunk driver is likely to swerve more often. -Offer them the make, model, color and license plate number of the vehicle (if possible). Tell operators where the vehicle is and which way it’s heading. Your call could wind up saving lives.